The holidays are quickly approaching and we all need some ideas of what to serve up for the holiday feasts! And yay, have I got a plan for that!! 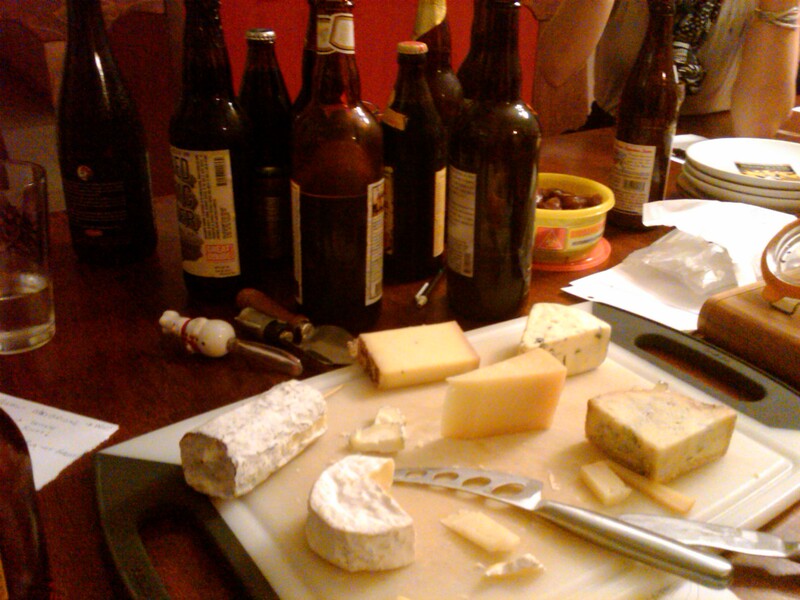 I’m super excited to have Alex and Evan from Hot Knivez, (super spectacular cookbook authors and cheese gurus) out to our women’s forum this month to pair up some phenomenal cheeses with an amazing flight of beers. How better to impress your family and friends during the holidays than by putting together a perfect pairing at the holiday table or giving someone the best tasting gift basket ever! We will present 5 beers and 5 cheeses, with emphasis on smoked flavors, for this event to prevent your holiday meals from going up in smoke. Ha ha ha ha! The cost will be $17 and will include the flight of 5 beers and 5 cheeses, a flight sheet with info on the beers and cheeses, and some quality time with your favorite girlfriends. The event will be on Wednesday, November 16th, at the brewery from 7p-9p. Please rsvp on the website so that I know how much beer and cheese to have on hand for the event. You’re not gonna want to miss this forum, so come out and join us!